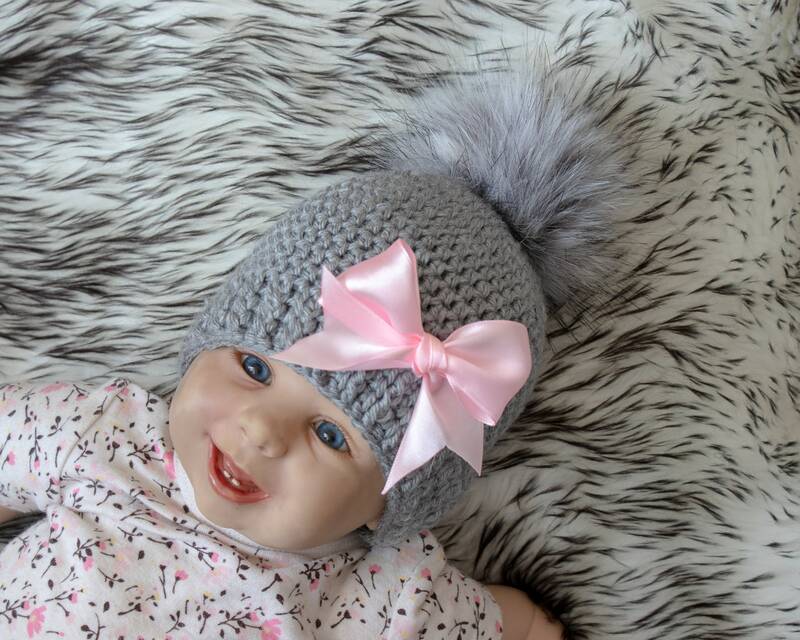 This gray faux fur pom pom baby hat with pink bow is warm and cozy. 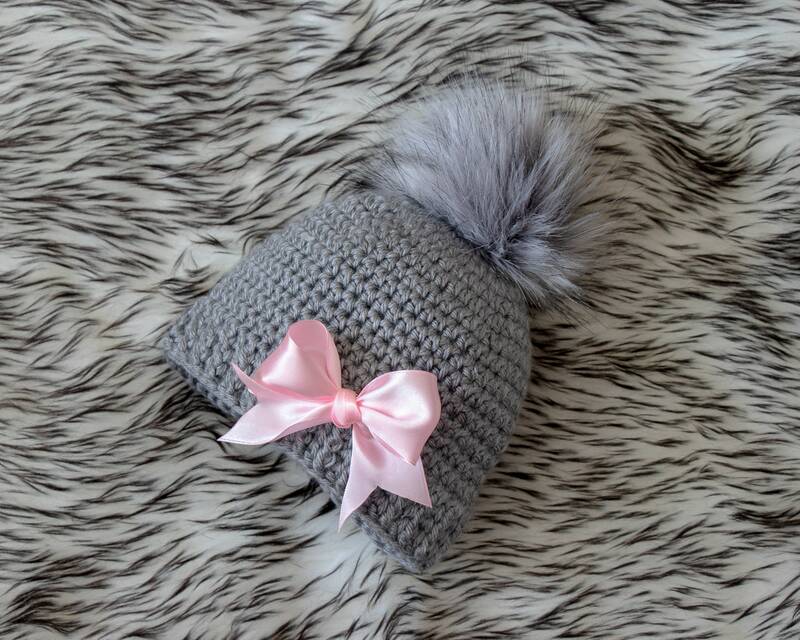 Perfect for fall, spring and winter. Perfect for everyday wear and also perfect for gifting or for a special photo session. 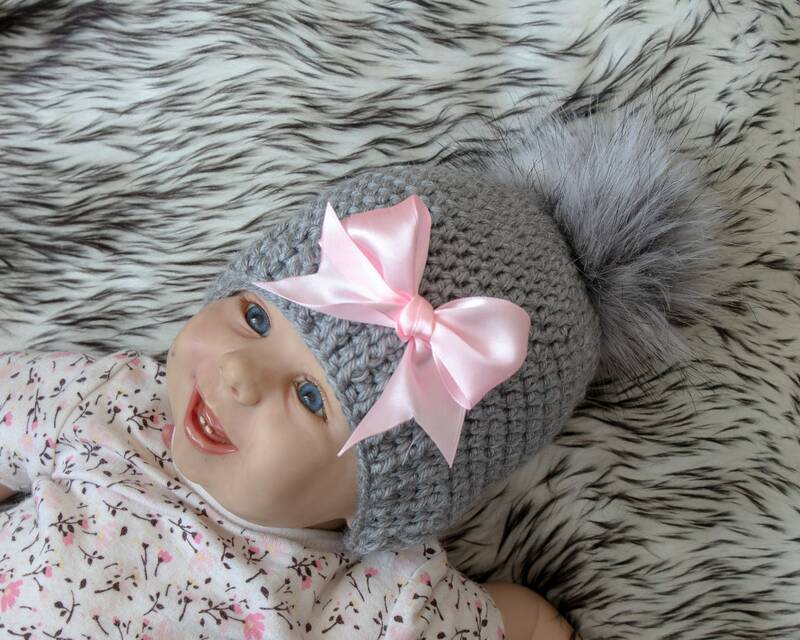 This hat made with a soft acrylic yarn. Perfect for fall, spring and winter. For best results, hand wash in cold water or wash in a mesh bag on a gentle cycle with similar fabrics and lay flat to dry.